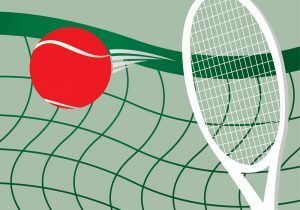 Capilano Tennis Club will offer both After School Camps and Summer Camps in 2019. Online sign up for these camps will be working after April 28th, 2019. Each After School Camp comprises 2 x 50-minute sessions per week for 3 consecutive weeks. The price for an After School Camp is $60. Discounts are available to Capilano club members, St. Gabriel School students and Suzuki students. See registration buttons below the schedule and click on the appropriate button for you. If you wish to register as a member, please ensure you are signed in first. All Dates: May 14, 16, 21, 23, 28 & 30 4:00 p.m.
All Dates: June 3, 5, 10, 12, 17 & 19 4:00 p.m.
All Dates: June 4, 6, 11, 13, 18 & 20 5:00 p.m.
*Please note that the Monday/Wednesday camp starting on May 13 has a date change from 20 to 24 for the Victoria Day holiday. Each Summer Camp will consist of 4 x 50-minute sessions on consecutive weekdays (Monday through Thursday), and start on July 8th and follow the schedule shown below. The specific time for each Summer Camp is also on the schedule. The price for each four session Summer Camp is $40. Discounts are available to Capilano club members, St. Gabriel School students and Suzuki students. See registration buttons below the schedule and click on the appropriate button for you. If you wish to register as a member, please ensure you are signed in first. Monday, July 8 2 - 3 p.m. 3 - 4 p.m.
Monday, July 15 3 - 4 p.m. 2 - 3 p.m.
Monday, July 22 3 - 4 p.m. 2 - 3 p.m.
Monday, July 29 2 - 3 p.m. 3 - 4 p.m.
Monday, August 12 3 - 4 p.m. 2 - 3 p.m.
Monday, August 19 2 - 3 p.m. 3 - 4 p.m. 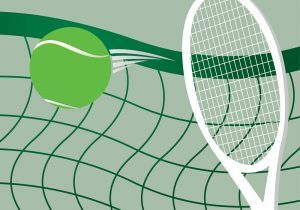 In 2019, Capilano will be piloting Junior Advanced Camps throughout the summer for young players who are advanced enough to be playing with traditional tennis balls and are keen on honing their skills for tournament play. Camps will be 2 hour sessions, three times per week. Sessions are Tuesday through Thursday from 4:00 p.m. to 6:00 p.m. The price for each Advanced Camp is $40. Discounts are available to Capilano club members, St. Gabriel School students and Suzuki students. July 9, July 16, July 23, August 6, August 13 and August 20. To ensure players register in the appropriate sessions for their ability, registration will only be accepted in person by our Tennis Coordinator. Please visit Eric in the clubhouse to discuss. or during the week following the completion of that particular camp round. Capilano Tennis Club is located next to the Capilano Community League hall at 10810 54th Street, Edmonton. Regular opening hours with Tennis Pro in attendance (4 PM to 9 PM daily) during the season. To register in person, come to the clubhouse any weekday evening.